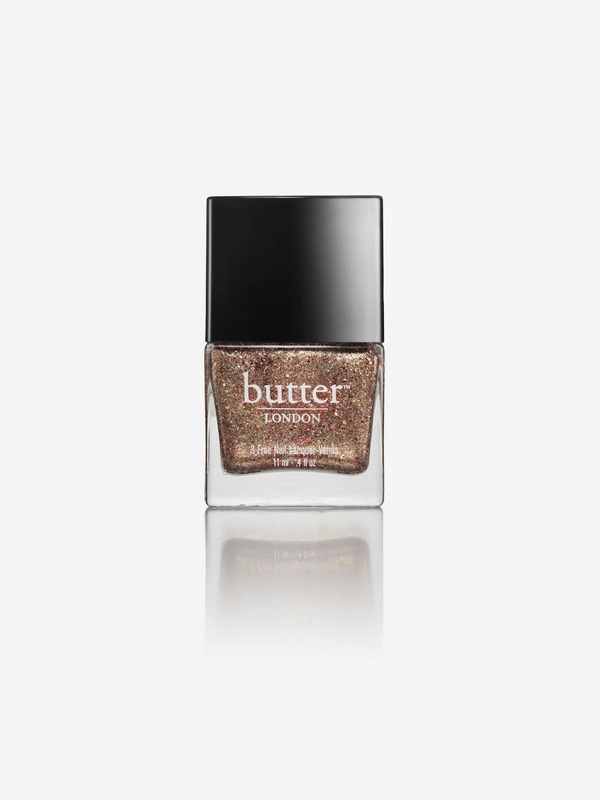 Earlier this month, butter LONDON came out with 3 fabulous glitter overcoats, perfect to glitz up any existing manicure. Please enjoy the following release - images courtesy of butter LONDON. 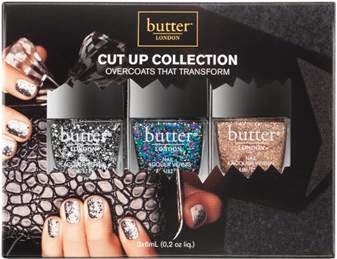 Launched on butterlondon.com is the latest in glittering overcoats, the Cut Up Collection. This collection intensifies favourite nail looks with raw textures and a modern edge. Layer these overcoats over any butter LONDON lacquer for a textured, eye-catching manicure. These three lacquers are also available in a Fashion-Size set for textured manis on-the-go.